Exclusive: The $3000 Aston Martin Stroller, With Alcantara Seat! Why should the parents be the only ones in the family to enjoy Aston Martin-level luxury? 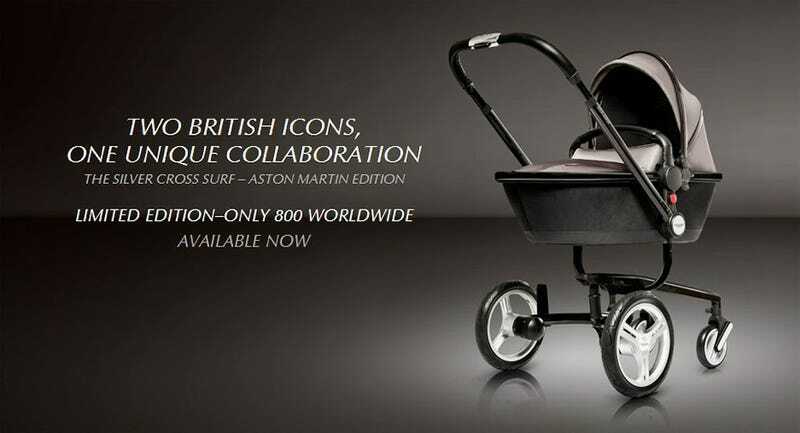 The Aston Martin x Silver Cross Stroller (£2,000; roughly $3,000) will swaddle your little one in the kind of comforts usually reserved for high end sports cars, including a chassis finished in anodized aluminum and magnesium alloy, a seat finished in Alcantara and leather, a carrycot done in Alcantara, performance fabric, and leather, Alcantara harness and buckle protector pads, and a hood, apron, winter footmuff, sun shade, rain shield, and a folding, detachable shopping basket. Good luck fitting it in the backseat of your DB9.